Meat rabbits offer a sustainable option. Myriam Kaplan-Pasternak had been raising pigs with her husband Mark for years at Devil’s Gulch Ranch, a 75-acre farm outside the tiny coastal town of Nicasio, California, before the couple got into meat rabbits. Now, the rabbits are Devil’s Gulch Ranch’s calling card, creating opportunities at restaurants for the farm’s pork, lamb, and quail. “When we started, it was kind of this taboo thing and we really didn’t talk about it much,” Kaplan-Pasternak confesses. “Chefs started asking for it. Upscale market. Kaplan-Pasternak started showing rabbits with her daughters in the late 1990s. People started asking her for rabbit meat, so she began cross-breeding her show rabbits, blending Californian, Rex, New Zealand, and Chinchilla genetics to develop rabbits with big, wide loins and meaty hindquarters. Though some people criticized them for breeding “pets” for meat, the couple found an eager market among restaurants in the San Francisco Bay Area. Their customer list reads like a Michelin Guide, including Napa Valley’s French Laundry, Chez Panisse in Berkeley, and dozens more eateries fusing European and local flair. Rabbit is a staple in many ethnic dishes, including some of Europe’s most luscious stews. It’s nutritious. And — to the delight of many sustainability-oriented buyers — rabbits have a small environmental footprint. This rabbit is more than just a pretty face — it’s an efficient source of healthy, mild-flavored meat. They demand attention, but rabbits are well-suited to modest-scale production. Quick cycle. 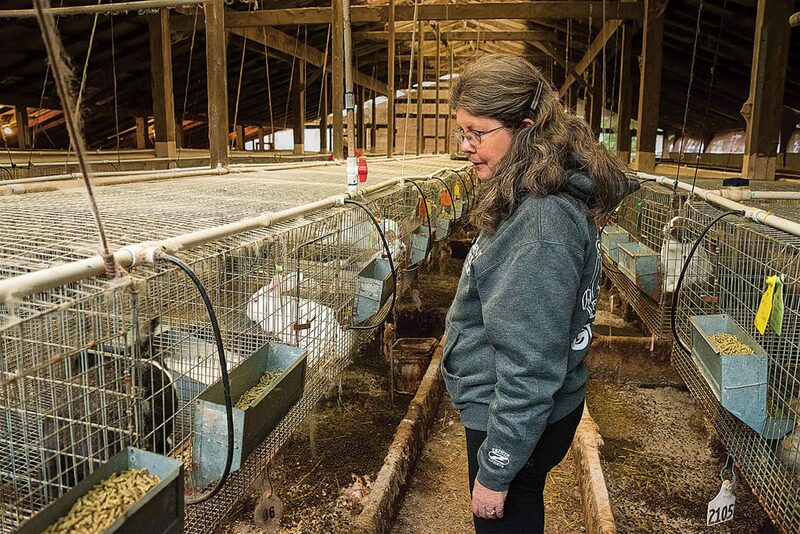 Devil’s Gulch Ranch rabbits are raised in standard 30-by-30-inch wire hutches, propped about four feet off the ground to keep manure away from the animals and facilitate cleaning between litters. Kaplan-Pasternak maintains about 250 breeding does, each of which can produce five to six litters per year. After 42 days, she weans the kits by removing the doe from the cage. 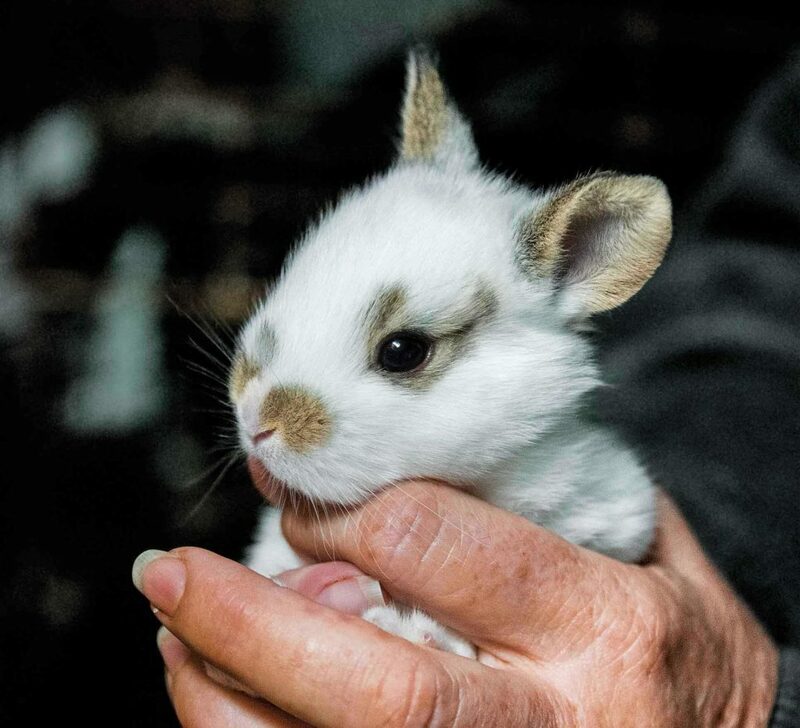 Traditionally, the young rabbits would be moved to a fryer barn, but Kaplan-Pasternak says keeping the kits in their home cage reduces stress, disease, and fights over pecking order. Rabbits are ready for slaughter 11 to 12 weeks after birth. At that age, they will yield 2.5 to 3 pounds of meat, which Devil’s Gulch wholesales for $8.75 per pound and sells at farmers markets in the Bay Area for $9.75 per pound. Kaplan-Pasternak says raising rabbits longer than 10 weeks yields larger animals and firmer meat. Kaplan-Pasternak pays a premium at the slaughterhouse because her rabbits aren’t all white, which makes cleaning the meat a bigger challenge. However, a good pelt brings in $50, a tidy profit even after the $15 tannery cost. Soft scarves, muffs, and baby booties are popular at the farmers markets; so are cat toys and keychains made from tails, feet, and bits of fur. Scaling up. A farm couple can make a decent income with a small rabbitry, Kaplan-Pasternak says, though scaling up can be a challenge. Five years ago, at its rabbiting peak, Devil’s Gulch maintained 1,000 breeding does. It turned out to be too much. The milk market has gone global.